Used to make glazes harden and adhere to the ware (where they have insufficient clay percentages in the batch). Normally only small amounts of gum are needed and they are put into the water before powder is added (typically a solution is prepared in hot water, then this added to the glaze batch before all its water has been added). Do not underestimate the degree to which this can harden a glaze. 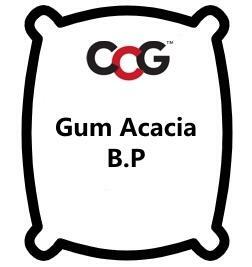 If your glaze dries up in the bucket, for example, you may not be able to remix it if it contains a significant gum addition. Since this is an organic gum it is subject to spoilage. It also has a distinct odour that is unpleasant to many people. Gum Arabic is also expensive compared to some substitutes.